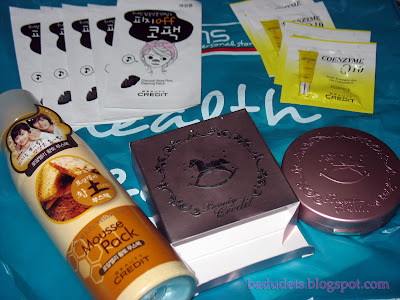 face masks | Badudets Everything Nice! I’m not a big fan of Valentine’s day, I’m very vocal about it throughout the years. I have that icky feeling at the thought of me carrying a bouquet of flowers on a date. Besides, Valentine’s day celebration in the Philippines has become trivial and commercialized already, peace! 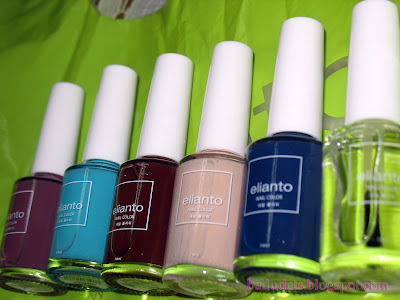 What I was able to score are nail polishes from Elianto and beauty products from a new Korean brand, Beauty Credit. Summer is around the corner and I’m getting tired of my clear nail polish so I bought 3D nail stickers and nail polishes in yummy colors. Nail polishes are Php 99 each. 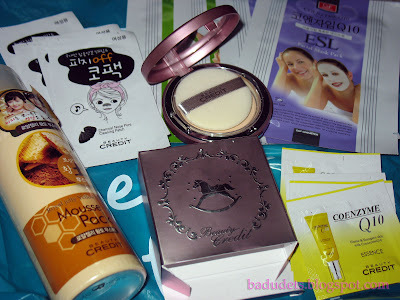 I passed by Watsons just to buy a nail clipper but I saw the variety of Korean Beauty Products available in the store. I remembered my friend Jehan Kim who is a fan of Korean beauty products and everything Korean, she swears that Korean beauty products really works albeit expensive. I snagged some facial mask packs, Green Tea and Coenzyme Q10, from C&F brand. I bought the Lovely Powder Pact Matt 23 (Natural Beige), Php 765, Royal Jelly Yellow Soil Mousse Pack, Php 713, Charcoal Nose Pore Cleaning Patch, Php 35, they also gave samples of CoQ10 moisturizer. I am amazed with their nose patch because it really lifts off your blackheads/whiteheads. I also love the Powder Foundation because it made my skin glow. The Mousse Pack really leaves my skin smooth and firm after the application. I was completely clueless on the brand before buying it so I googled them when I got home. 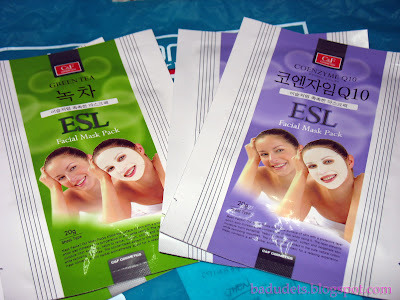 Beauty Credit is a Korean brand and you can only find them in Watsons Mall of Asia (beside National Bookstore). They have make-up and skin care products, most of them have CoQ10. I will try to post a detailed review on their products in the coming weeks. Beauty Credit is only available at Watsons, Mall of Asia.